I have been coming to Naples for 12 years now. I love the place. It feels lawless, but I never felt unsafe. It’s completely different from the rest of Western Europe. Completely different from all of Europe, really. And, oh man, is it different from North America. 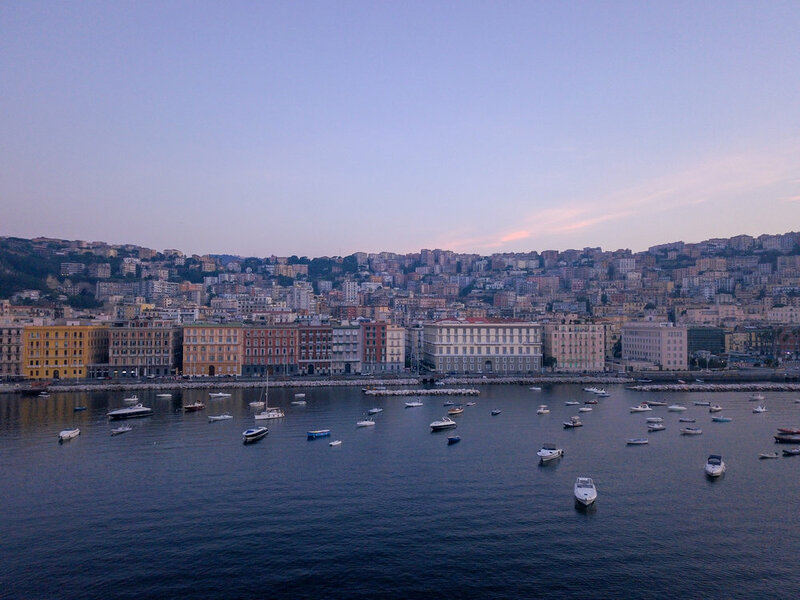 My wife fell in love with Naples reading The Neapolitan Novels, which she totally recommends. 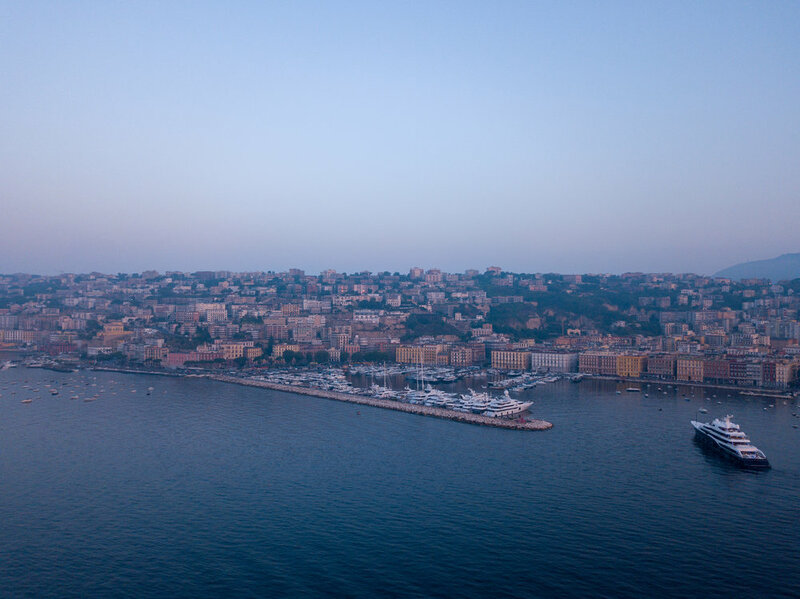 I got a different view of Naples and the surrounding area from the TV show Gomorra. It is a wonderful, deeply disturbing TV show about the crime, gangs, and people of the streets of Naples. Spoken in the Naples dialect (subtitled, obviously). I would put it up there with some of the very best television. Watching that TV show really adds an extra dimension when travelling to Naples. Check it out. Anyway, I enjoy the city at any time of day or night, but after 10pm it comes alive with families, romantic couples, friends, beggars, and large groups of revellers. It is quite special. There are loads of snack bars and gelati stands all over the front of the port offering everything you could want. There is even a stand which serves tripe. Who would want tripe? 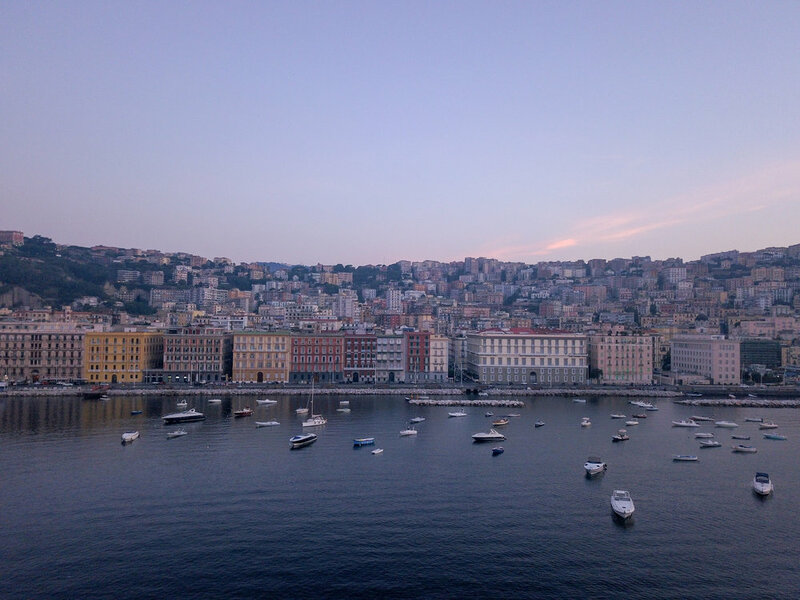 So, here are the seven things I like about Naples and the area, and some photos that will hopefully illustrate what I’m trying to say. 2. Vesuvius in the distance. It is massive and it is magnificent. Its humpback is always sort of just there when you are anywhere round here; from Sorrento to Capri. A sobering reminder of how devastating mother nature can be. 3. On a less catastrophic note, pizzas are incredible here. I mean, pizzas were invented here. They first did pizza, right here. Thank you, Napoli. Nowadays we need to refer to this style pizza as Napoletana style pizza. It has a chewy, soft yet crisp base, has fresh tomato sauce and buffalo mozzarella. It is truly sublime. The first photo is a Margherita and the second one is prosciutto, rocket and Parmesan. By the way, each of these cost 3 euros. That price for this quality is insane. Where I live in the South of France the minimum you pay is 12 euros for something that doesn't come close to these pies. Some people prefer the thin and crispy style pizzas and some people like the deep dish. 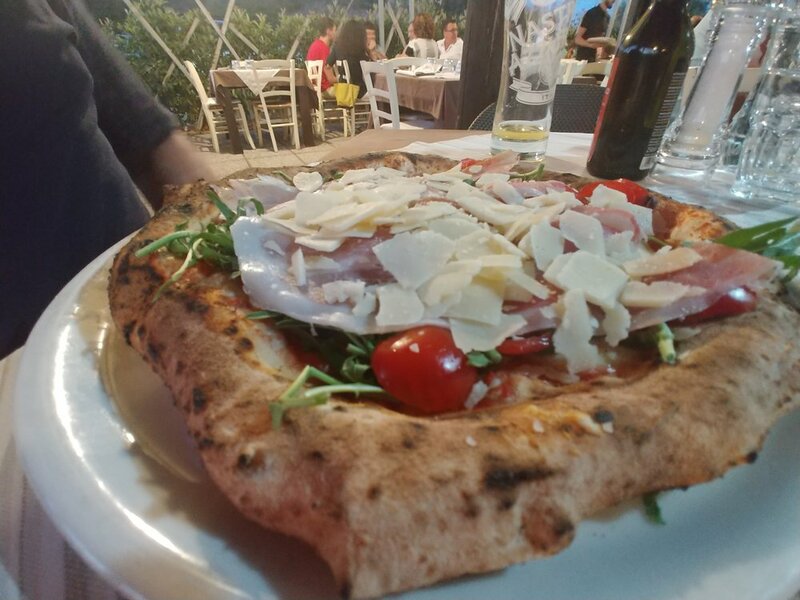 I would describe the Napolitana pizza as being a bit of both. 4. The late night food and drink stalls. They set up plastic chairs on the street and right there in among the hustle and bustle you can enjoy some drinks, some local pastries and a gelato. Or two. 5. When in Naples, you are also so close to Capri. If you are staying in Naples or Sorrento there are loads of ferries, hydro foils and weird jet boat things that can take you to the island. Lovely for a day trip, far better to stay a couple of days. 6. Pompeii. A 35 minutes away from the centre of Naples, is the ancient city of Pompeii. It was buried in volcanic ash when the above mentioned Vesuvius erupted in 79AD. They have dug it up and it gives a fascinating insight into what an ancient city would have looked like. 100%, definitely, absolutely need to visit. I went as a teenager and was too much of a teenager to truly appreciate it, but a few years ago the ROM in Toronto had a great exhibition on Pompeii and it made me really want to go back and see it all with my kids before they become teenagers. Ha! 7. Castel Sant'Elmo. This castle is situated on the top of the highest hill in Naples and you can see the entire city 360°, the view is just amazing. 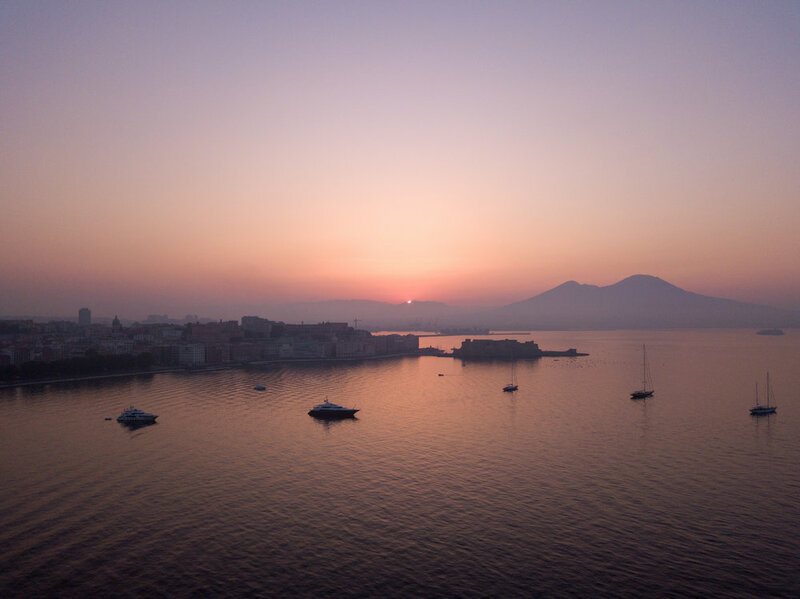 An old proverb says: "Vedi Napoli e poi muori" which means "See Naples and die”. 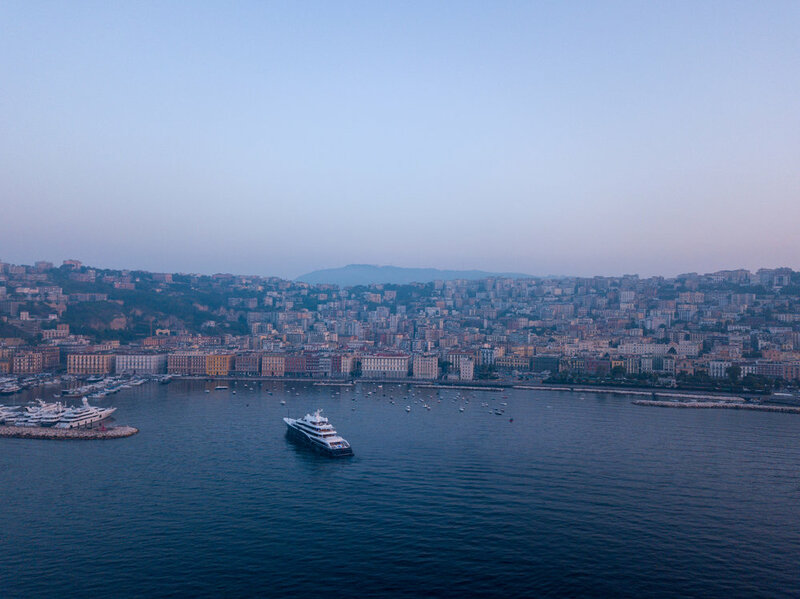 I say, see Naples and then return to see it again. Not that I wish to compete with old proverbs or anything. Anyway, here is the superyacht marina. 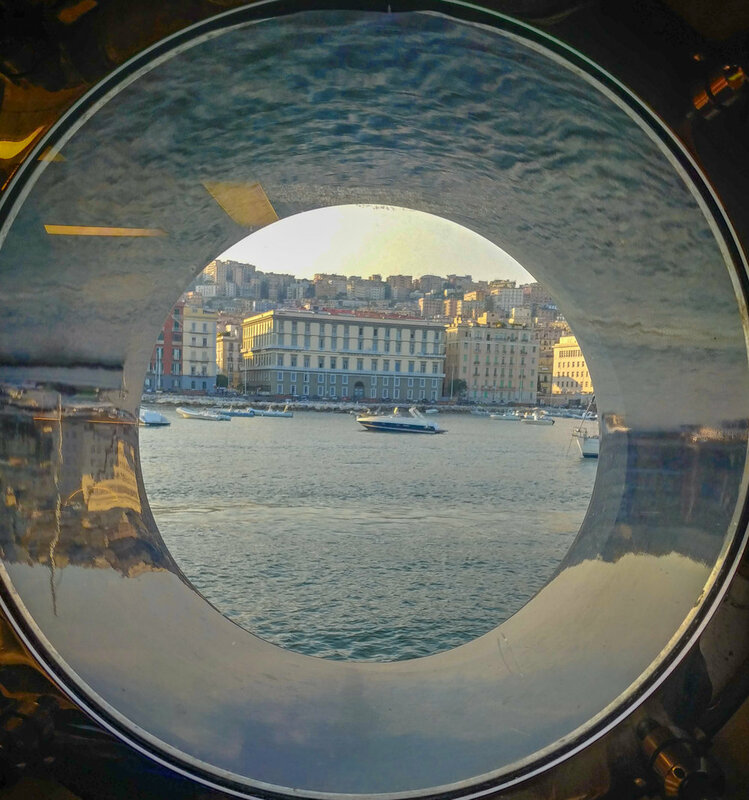 And here are a couple of #portholeviews from my galley. Some people think Naples is rough, dirty and unpleasant. I guess that is fair enough, but for me that is also part of the attraction. The city is definitely rough around the edges, but it is also charming and beautiful. I never had a bad experience in Naples. The people are very expressive and generally kind. It reminds me of the north of England, which, in case you’re not familiar with England, is a lot poorer than its south. But, I always feel more friendliness and love being in Newcastle, or Manchester or Liverpool, than in London. I imagine the same can be said for Naples in comparison to the northern Italian cities like Genoa and Milan. So, there. That’s my few cents. Enjoy the video I took at sunrise when the city was peaceful and some more photos which are at the bottom of the page. Four photos from a family visit to the ROM’s Pompeii exhibition a few years ago.